Something I may add that I’ve found to help in the past is to use your LinkedIn profile instead of a standard resume. Format your LinkedIn as you would a resume, and use the “create pdf” function. This way, as long as you have a clean profile, it will come with recommendations, work history, etc. this also shows you are transparent with your social presence and it’s one less place for a potential employer to “look you up” since it’s in front of them. …People will assume you’re not up to date with technology. If I use my own domain name as in me@mydomain.com hiring managers won’t think I know about technology? Don’t worry you’re good! I was mainly referring to @yahoo @comcast etc emails. My resume is two pages. I always worry if I completely remove old jobs even if they aren’t very relevant that people will think I just started off my career and assume I’m too young. As I get more years of Salesforce experience this is less of a concern but still something that worries me. What are your thoughts? 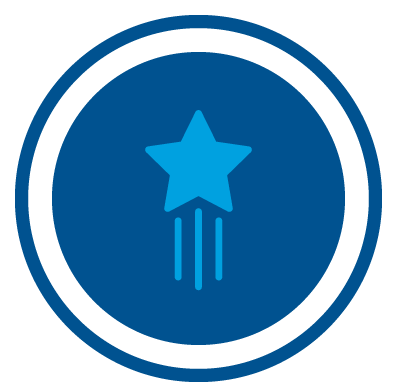 PS – I have 5 certs and 120 Trailhead badges and I’ve gotten positive feedback on both of those things. So I second those tips! This works because it shows you have a lot of experience without forcing a ton of detail on relatively irrelevant / outdated info! I like that approach. I’ll try it out in the future. Thank you! Hey David, thanks for another excelent piece of info. Recently a recruiter contacted me for a position as a senior developer for a consultancy company and they asked me why my CV was so minimalist that fit under 1 page and why did I pour in many numbers, in the end I got the job but I found interesting the contrast between what they expected to receive in the CV and what I presented trying to follow your advice. Could it be that certain types of business are more likely to be old fashioned about CV’s? Different places have different norms. Generally, 1 page is the way to go but a certain company might want a longer resume. In that case follow rule #7 with a custom resume! What I usually do is say I like minimalism and keep it short, but if they wanna test my skills we can discuss about any topic to vanish their doubts. After 1h of phone questions(since they were doubtful about many technologies listed but not specified what kind of projects I was in) they were convinced :D.
Thanks David. Keep rocking and providing so much value content. Really appreciated, thanks to some of your posts on career salesforce + what i’ve told them some friends are considering start learning salesforce. Hi David, Can you please adapt #4, #5 and #6 for those of us who do not have any Salesforce/CRM experience and are just starting on this journey? I have 30+ years of work experience to offer, one certification and a whole lot of desire to learn. You want to do the same thing, but from a different perspective. For example, if you’ve used other CRMs (as an end user or admin) you can put similar stats on your resume. If you really have no relevant experience, list out some of your personal projects that involved Salesforce. For example, you can say you built a private Salesforce org using Lightning to track your day to day expenses. Hey, the information provided is very helpful and provides ample insight for people like me out there in the market. Very impressed with this information and looking forward for more. Thanks! Good luck out there!